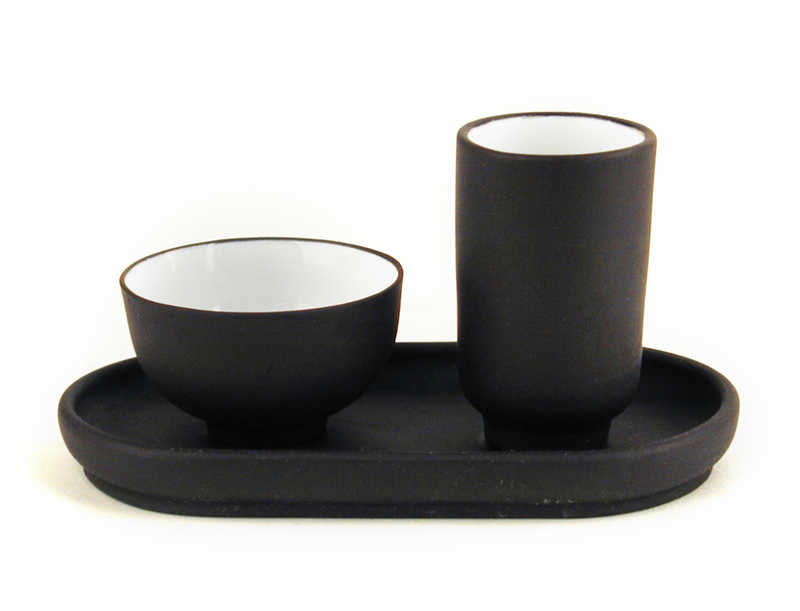 Aroma cup sets are used to experience the aroma and flavor of Gongfu-style brewed tea. Both cups are first filled and heated with hot water, then emptied. Prepared tea is poured into the tall ‘scenting’ aroma cup and the empty, shorter ‘sipping’ cup inverted over the top of the scenting cup. Held together, both are again inverted, placing the sipping cup on the bottom. 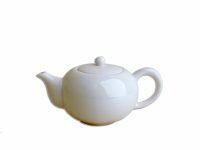 As the scenting cup is lifted out of the sipping cup, air is pulled through the tea, trapping a ‘mist’ of the fragrant brew in the emptied cup. The scenting cup can then be rolled back and forth between the palms as you inhale its fragrance. 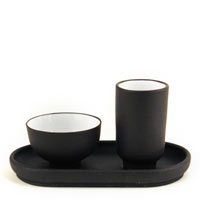 This elegant aroma cup set includes three pieces made of black yixing clay, with the cups glazed white inside so the color of the brew is visible.